Located in Arizona, Grand Canyon National Park is home to much of the immense Grand Canyon, with its layered bands of red rock revealing millions of years of geological history. Viewpoints include Mather Point, Yavapai Observation Station and Lipan Point. Lipan Point provides wide views of the canyon and Colorado River, making it an especially popular viewpoint during sunrise and sunset. If you’re planning a trip to Grand Canyon National Park, let Via Trailways help you get there! We want your trip to be as stress-free as possible so you can focus on having a relaxing and fun-filled time. 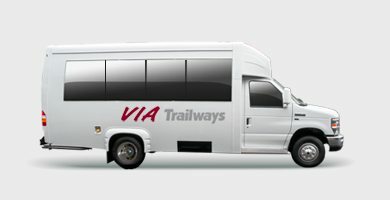 When travelling with Via you’ll be able to relax in one of our comfortable, secure charter buses. Stay overnight at one of the many lodging areas such as Phantom Ranch. Visit the Kolb Art Studio and explore all of the history exhibits. Take a guided bicycle or hiking tour that you’ll never forget.